Sam Bennett is a writer, actor, teacher and creativity/productivity specialist. She is the creator of both The Organized Entrepreneur Company and The Organized Artist Company, organizations that are each, in their own way, dedicated to helping creative people get unstuck from whatever way they’re stuck especially by helping them focus and move forward on their goals. As an actor, Sam has appeared in such hit shows as Modern Family, Strong Medicine, The Drew Carey Show and Days of Our Lives. ... Más informaciones You can also find her featured on many of the LA Theatre Works full-cast audio plays alongside such stars as Richard Dreyfuss, Ed Begley, Jr. and Anne Archer. 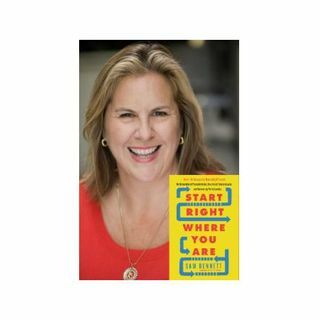 Sam is the bestselling author of several books including her new release, “Start Right Where You Are.” Visit www.startrightwhereyouare.com. Watch Self-Care Isn't Selfish on YouTube.